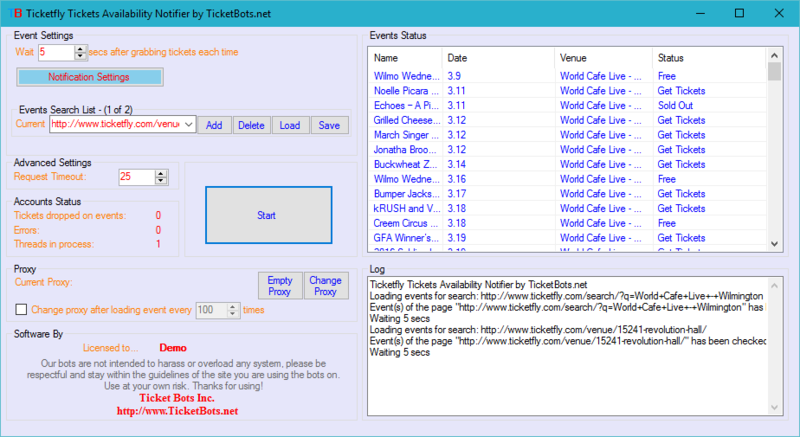 The software allows you to monitor a list of events based on keyword search on TicketFly website and notifies you when any of the events status changes its status (say, from "No Tickets Left" to "Not Many Tickets Left" etc.). You can use it for drop checks as well as for monitoring events. 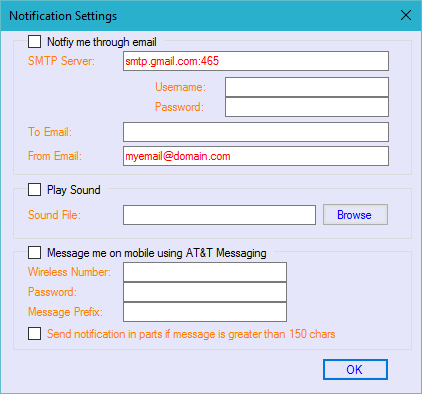 Email and SMS notification feature is also available. The main advantage of it is that you have very less chances of getting your IP blocked. 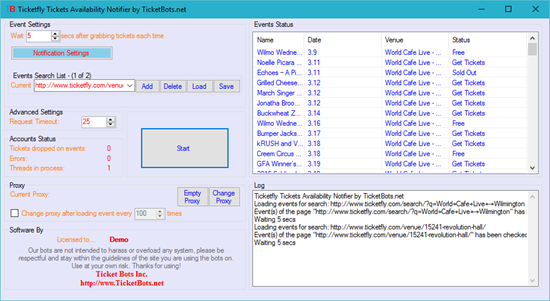 The bot can be customized to meet your exact needs as well.